Do your kids love The Smurfs 2 movie? The classic cartoon has been making a huge comeback with their first movie in 2011 and the sequel currently in theaters. I remember watching the cartoon when I was a little girl, so I was pretty excited about the movies. I was even more exciting that my kids are as much in love with the characters as I was! For fans of the blue characters, there are some Smurfs 2 toddler toys that your kids will love. My kids love plush animals and characters and your kids probably do, too. This toddler toy is 8 inches in height, come in six styles and are taken right from the Smurfs 2 theatrical release. 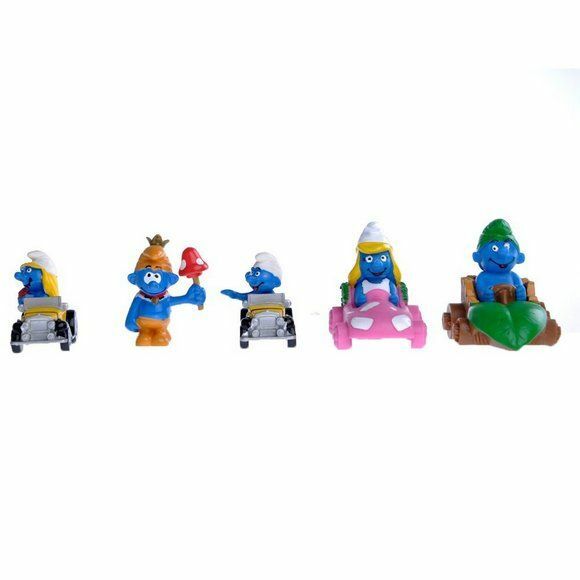 You can choose from Smurfette, Gutsy, Clumsy, Grouchy, Brainy or Papa Smurf. Perfect for collecting and they make a great gift, too. Sometimes it seems that kids are more interested in dressing up than with playing with toys! 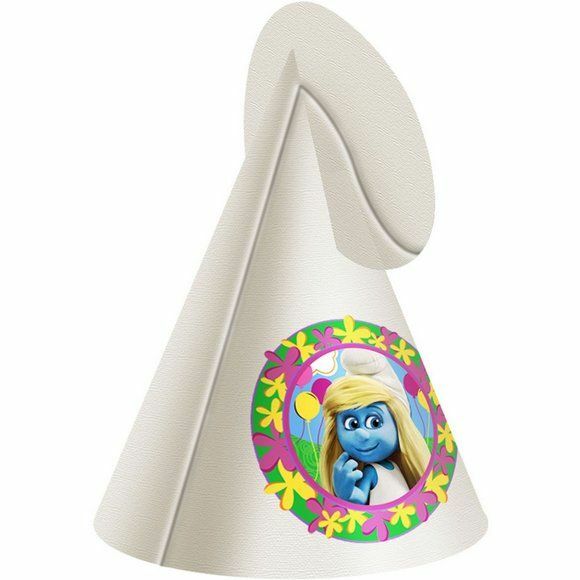 With these white cone hats, they can pretend that they are a smurf. Each package includes eight cardboard hats that have chin straps. This is one of those Smurfs 2 toddler toys that can be played anywhere, even in the car and the chin straps will keep it on while they chase each other around. This would also be ideal for birthday parties. 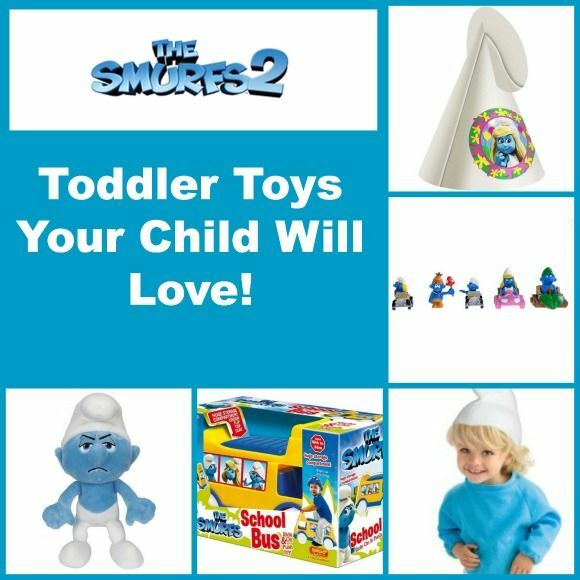 This is such a fun Smurfs 2 toddler toy that your child will love. Designed like a school bus, this push toy has a large storage compartment. In addition to them being able to push it all around the house, they can also ride on it. This toddler toy is recommended for ages 18 to 36 months. Let your child use their imagination and let them dress up in The Smurfs 2 romper and headpiece. It comes with a blue top and a white foam hat. This costume does need to be hand washed, but your kids will love putting it on and pretending they are one of the characters in the movie! Cars are one of my daughter’s favorite toddler toys and this item comes with five of them. Your child will have fun racing them or even watching them crash into each other. Each of the five pieces are different and they would also make a great collectible. Recommended for 12 months and up. Looking for more fun toys based on hit kids movies? Check out our Despicable Me Games for Kids! Have you and your kids seen the movie yet? Which one of The Smurfs 2 toddler toys is your favorite? That little girl is so adorable in her smurf suit. I’m definitely going to be looking at some of these toys as Christmas is quickly approaching. Thanks for a great article. Thanks, Ryan! The outfit is very cute! I’m definitely looking at the school bus ride on for my little one! 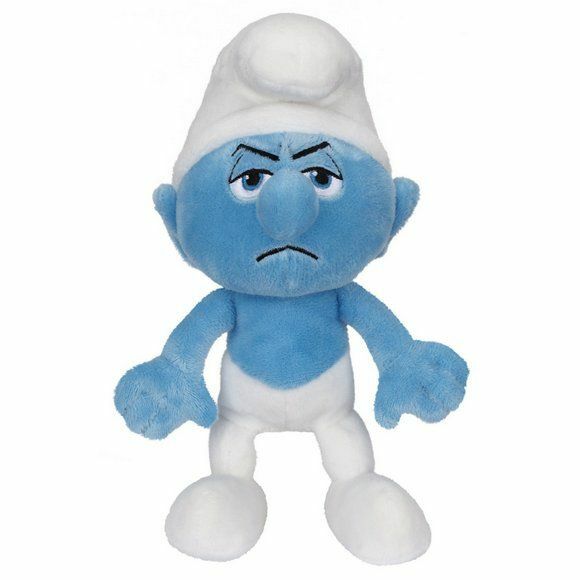 Awww – these Smurfs toys and goodies are so freakin cute!!! Shannon (The Mommy-Files) recently posted..Expand Your Disney Movie Collection with This Awesome Home Entertainment Giveaway!! I love the smurfs!! The costume is too cute! Mrs. B recently posted..Our First Week Is Done! I miss all this kid stuff now that my son is 10, I will always love toddler toys! Cause I am a big kid! These are too cute. I would have done anything for the smurf costume when I was little. Aww that costume is SO stinkin cute! aww that smurf romper and head piece is to cute! I remember Smurfs growing up – loved them then and now. Wish that my boys were more into the Smurfs. Can’t wait to see all the kids with these items for Halloween.